I’m back with another chicken post, I’m very sorry my lovelies I am a sucker for chicken and I make it at least once a week besides my regular meals. I made some homemade suya spice the other day (Recipe coming soon) and I couldn’t believe how well it turned out. I was really proud of myself becoming a better spice-mixotologist.. hahaha (Don’t get your dictionary out for that vocabulary). 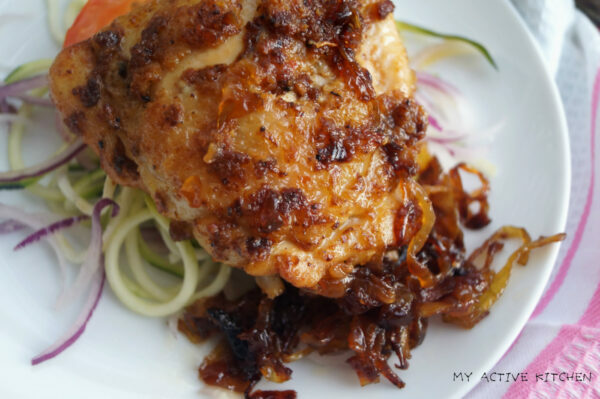 I needed to try out my new spice and my chicken came in handy plus I’ve been wanting to put up caramelised onions recipe on the blog for a while but I kept pushing it, if you love burger then you would appreciate that it is not complete without some good caramelised onions. Like someone I know would say, you cannot rush perfection and that goes for today’s recipe. 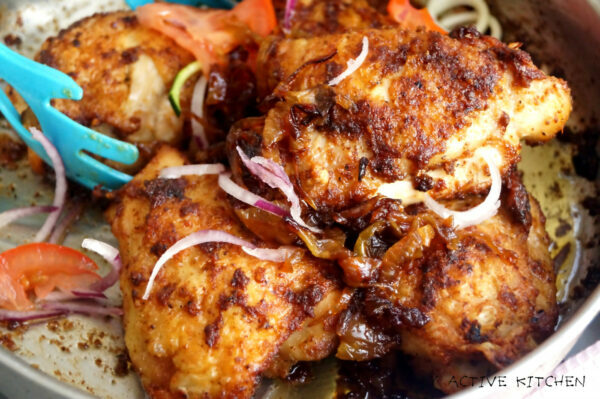 It was a labour of love in making the roasted chicken suya and the caramelised onions and believe me, it all went within minutes of making it. Fastest fingers first, hahaha. After making my chicken suya, I allowed it to rest for some few minutes before diving into it. Who needs burger bun when you can just have Agege bread? Everyone enjoyed it. 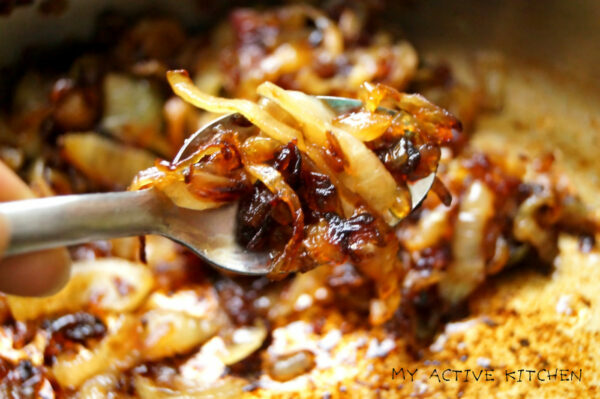 Do you know you can make caramelised onions and keep it in fridge or freezer? See, not much stress after all as you will still be enjoying it after weeks of making it and remember keep the heat down when making it and all would be fine in the kitchen department. 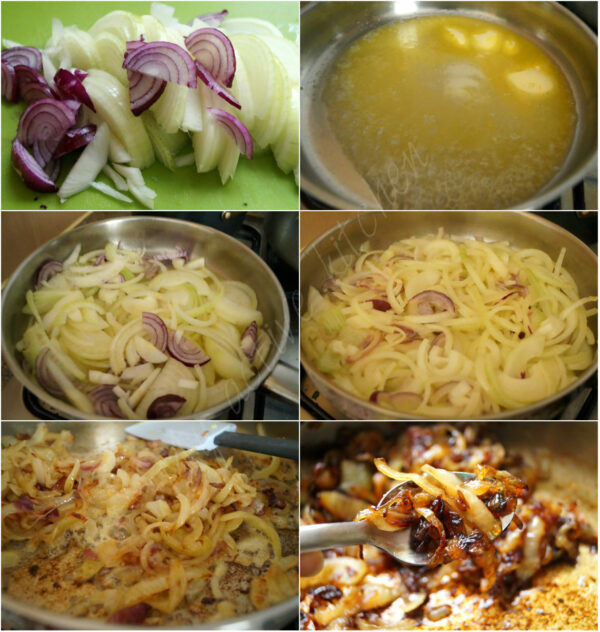 Add the chopped onions and stir it into the melted butter until well coated. You can add brown sugar and balsamic vinegar to the caramelised onions about 10 minutes before you take it off the heat although, it is optional. 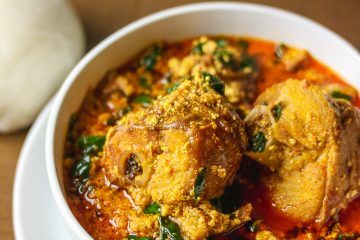 To the chicken, add 2 tablespoon of suya spice, add salt and chicken seasoning if desired. Add 2tbsp of vegetable oil and mix all together till well combined. 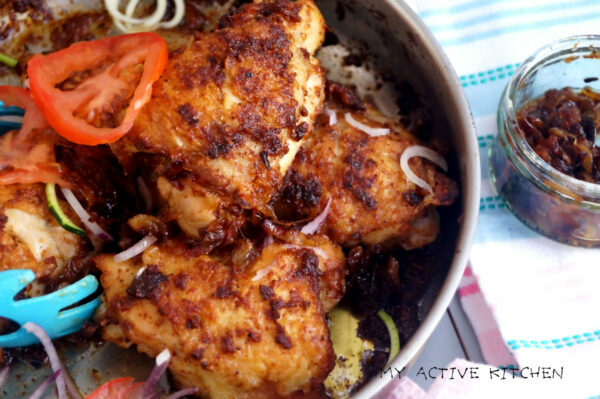 Leave to marinade for at least 1 hour or overnight preferably for the flavour to be well infused into the chicken. Allow the chicken to rest for about 5 minutes before serving. 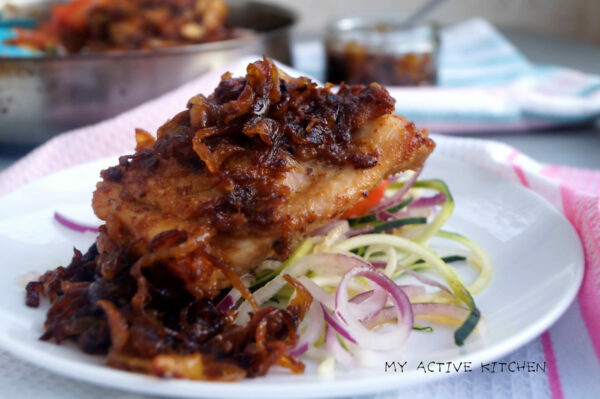 Enjoy with salad and some caramelised onions. Go wild like me and sandwich with some agege bread. 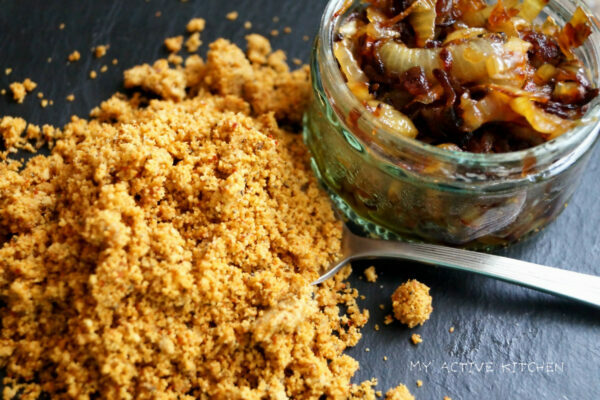 I’ve been searching for how to make caramelised onions for a while now. Thank God you came to my rescue. I’m soo making this over the weekend. Watch out for my tag on instagram. Good job on the chicken too. We’ll done.